larkinj shared this project on Thingiverse! Holder for spheres. Basic design is for a sphere 110 mm in diameter, but easily scaled to other sizes. In the photos the clear sphere is with an unmodified 110mm version. 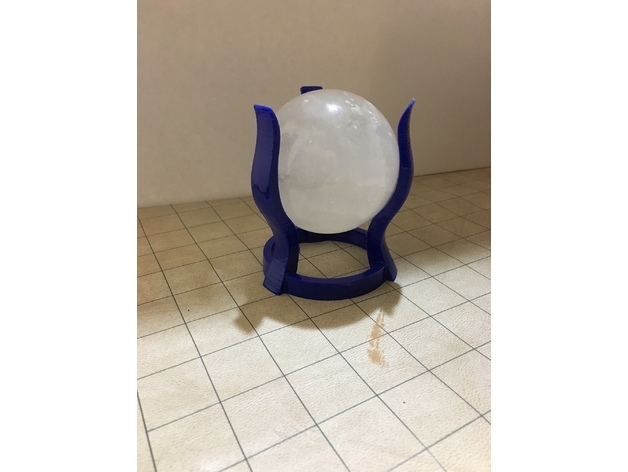 The crystal sphere is 70 mm in diameter. Seems to print fine without any support.